The Tac 9 AC-350T1 ACM NBUS Gen 1 Back-Up Sight Set directly mount to the top rail of most airsoft guns to provide a precise point of view when aiming at a target. The item features a side button to quick release the sight upwards allowing the shooter to have easy access for targeting. 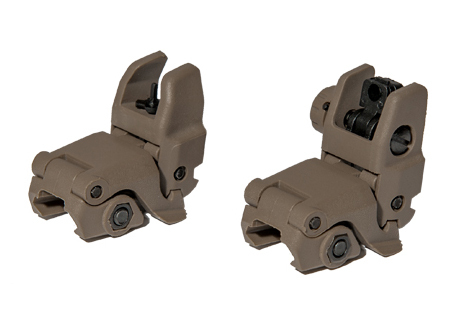 Switch from using either your optic or this sight without worrying about taking them off. Make sure you have the accessories you need to quickly aim at your target with the help of this sight set.